Due to recent concerns we will be contacting the Lower Morden Lane Equestrian Stables tomorrow (Friday) and will be advising them to cancel. 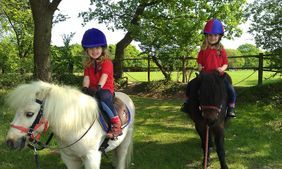 The Morden Family Funday team were contacted earlier this week by Lower Morden Lane Equestrian Stables regarding the Ponies attending the event. A schedule was then set up and a quiet, prime position given to their mobile stables so if they had to leave they have an easy exit. Indeed the animals welfare is always our primary concern .This was totally agreed by Lower Morden Lane Equestrian Stables who initiated the booking. Please do not post any further negative comments about the event as we have listened to all the recent concerns and opinions and have acted appropriately.